Mister Steven J. 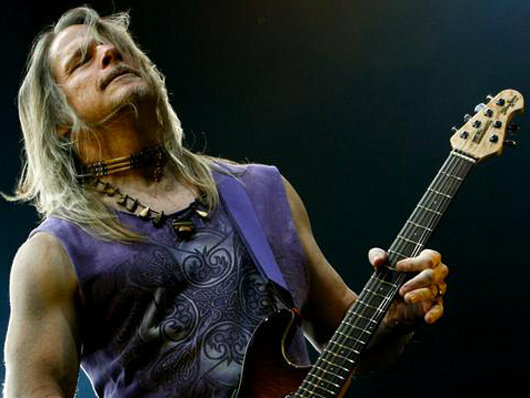 “Steve” Morse is one of American guitarists who has huge fans. some people know him as the founder of the Dixie Dregs, but i know him as the guitar player of Deep Purple since 1994. in the mid 1980s he is the member of Kansas. 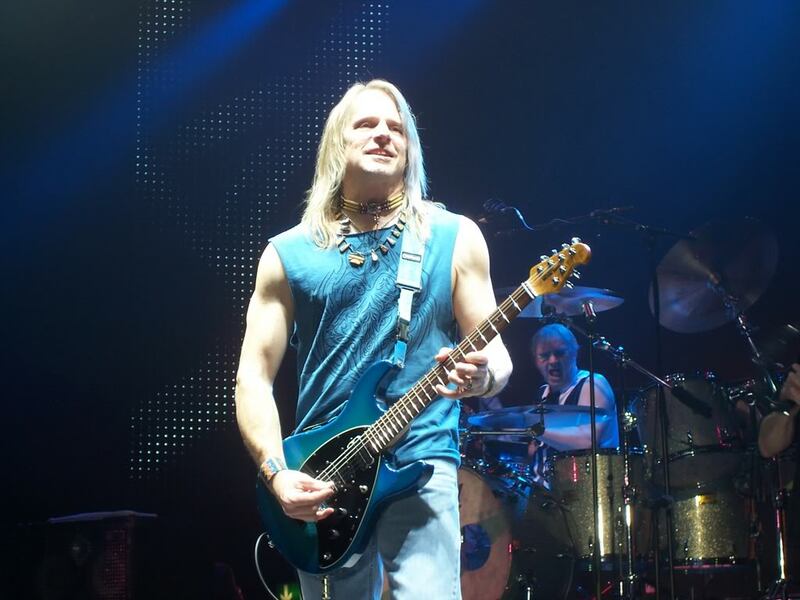 Steve Morse has great live rig setup and he performs in such amazing way. for guitar learner like me, a piece of him is a valuable stuff that will improves guitar techniques and understanding. yes, his old video lesson has been taught us in magnificent way. while the newest one is Steve Morse — The Definitive Steve Morse (DVD) , I’d like to share his older one, “Steve Morse: the essential”. – opening tuning sound & equipments. in this section, he gave his gear setup and how he use them in live performances. – picking. in this section, he showed his picking techniques. how to pinch a plectrum, and how that method is applied on his playing. – connecting positions. at this part, he explained how to connect licks and arpeggios into song playing. there are lot of thing can be learned from his video. well, i can’t master them all, but at least his video helps me alot about things those happened in performing a song. hope this post helps.